follow the link above to see all about them. Sun. 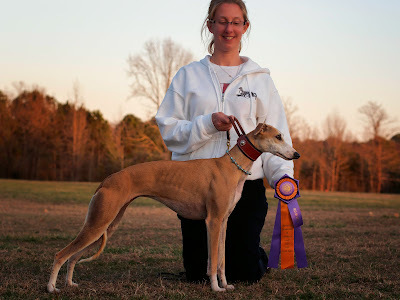 - 2nd place out of 17 Open Whippets - for a total of 40pts towards her ASFA Field Championship title. 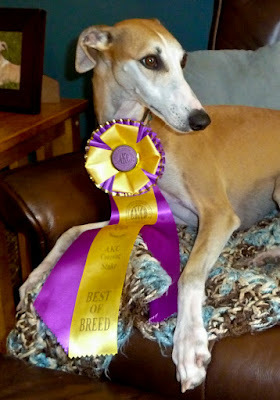 Feb. 22 - Elsa goes BOB out of 20 whippets for a 5pt major her first time entered in an AKC trial! 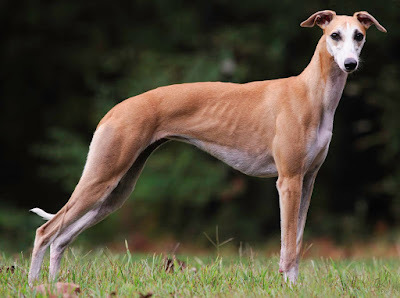 March 15 - Elsa goes BOB Defeating 34 Whippets for her second 5pt. 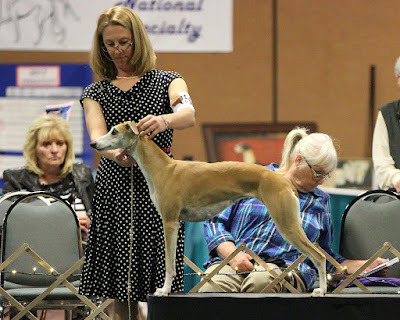 Major at her second AKC tiral! 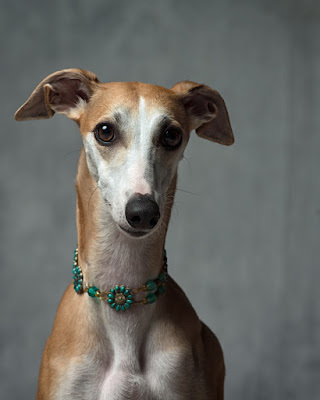 March 29 and 30th - Elsa wins her Open Stake at the 2014 ASFA II in Ocala, FL! She picked up 60 pts towards her ASFA field championship title this weekend! 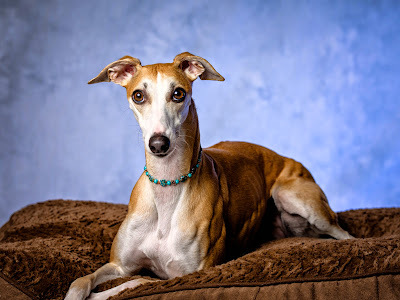 May 17 - ELSA wins her 3rd BOB defeating 26 whppets for another 5pt Major and earns her AKC Field Championship in just 5 AKC trials!!!! SO SO very proud! Sept 28 - after a long summer off due to a foot injury/surgery, Elsa makes her debute weekend Placing in the top 5 the first day and going BOB on Sunday!!! Oct 11 - Another BOB for Elsa!!! 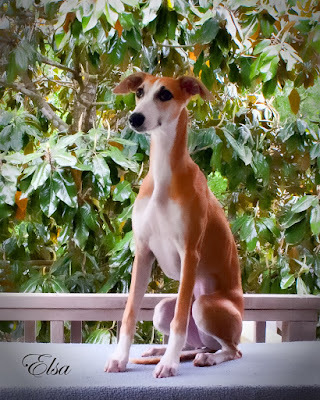 This girl has 5 BOBs in just 9 AKC trials!!! WOW we are proud!! Nov 22 - Elsa goes BOB today! 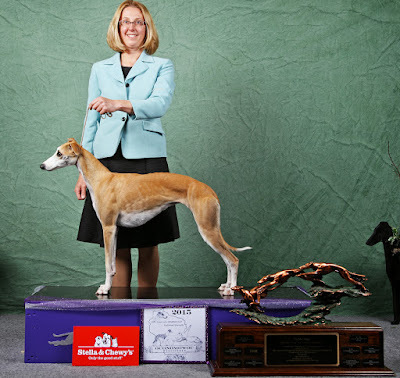 6 AKC BOB wins in 13 AKC trials now! Once again we are so Proud!!! 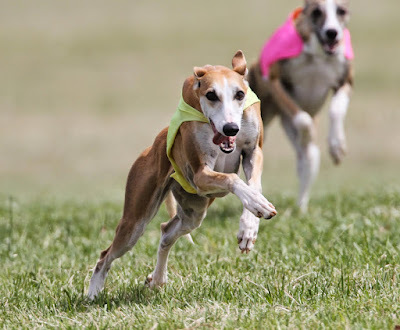 Nov 29 - 3 days of coursing over the ThanksGiving day weekend! 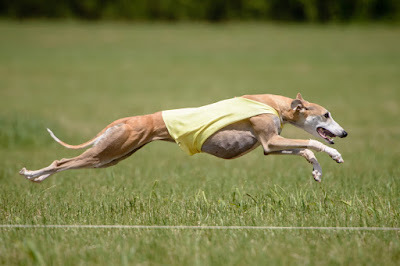 after placing in the top 5 of 18 whippets the first 2 days, Elsa finishes the long weeked with another BOB!!! wow! 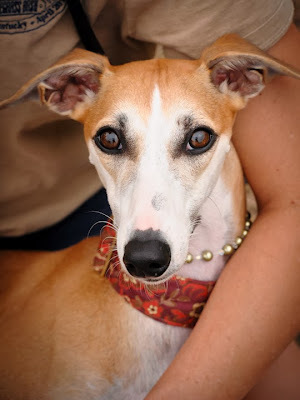 Dec 14 - another great weekend and another BOB for Elsa !!! so so very proud!!!! Dec 28 - To finish off the year, Elsa goes BOB, her 9th out 20 trials this year!!! 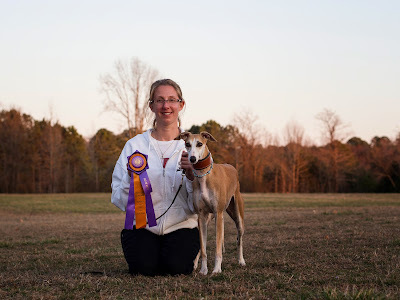 Elsa finishes the 2014 year as the #1 Whippet and #1 Sighthound in AKC Lure Coursing!!!! Congrats to this special red girl! We are so proud!!! 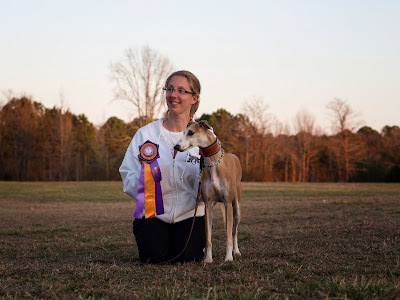 March 22 - Our First AKC trial of the year, SHOT - Williamsburg, VA, Elsa goes BOB under Judge Ian Davies for a 5 pt major - defeating 21 dogs! 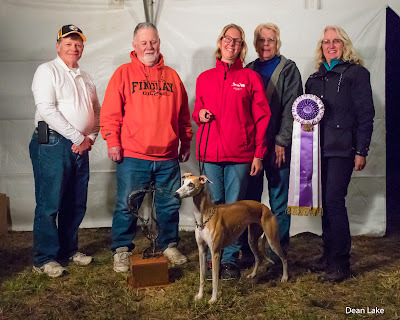 April - Elsa finishes her ASFA Field Championship Title at our 2015 AWC Nationals!!!! 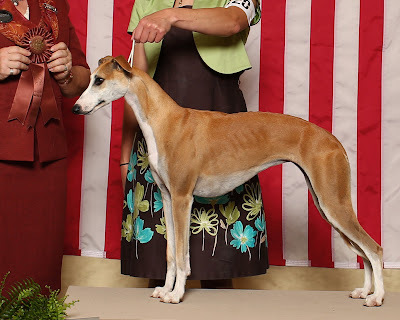 May 16 - Elsa Won a large Specials stake and earned her AKC LCX title! May 17 - Elsa goes BOB Today! 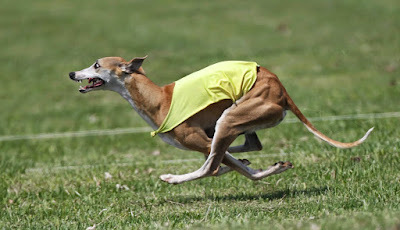 Defeating 30 whippets! May 24 - Elsa goes BOB for a 3 pt. major! 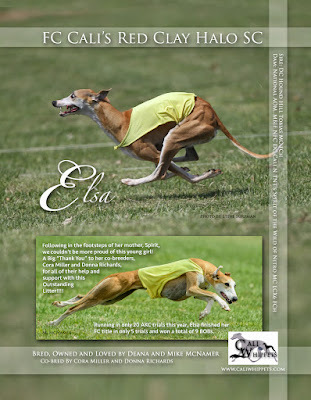 June 6 and 7 - Elsa goes Back-to -Back, BOB's in a field of 29/30 whippets! WOW! So proud of her! 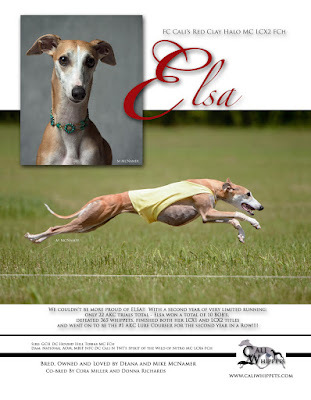 Aug 15th - Elsa goes BOB for a 5pt major after a nice summer off! Nov 22nd - Elsa goes BOB for a 5 pt major and earns her LCX2 Title!!!!!! 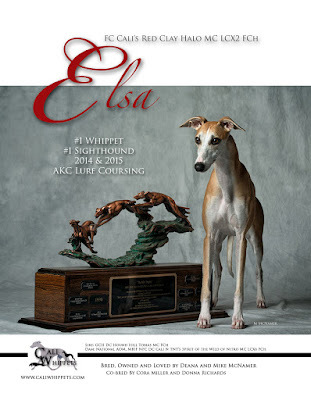 Nov 27-28th - Elsa goes back to back BOB wins for two 5 pt Majors! What a weekend!!!!!! 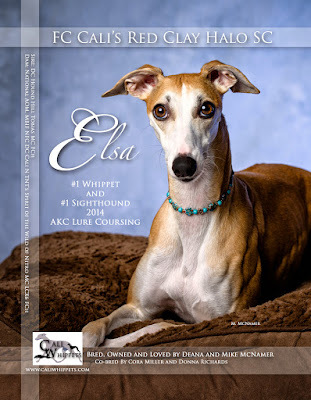 Elsa ends the 2015 year as the #1 whippet and #1 sighthound in AKC lure coursing for a second year in a row!!!!!! 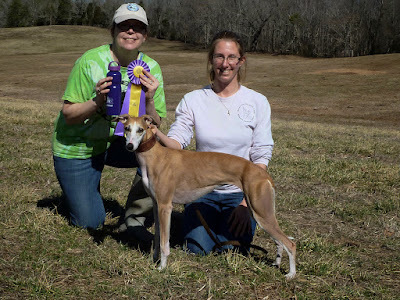 Dec. 2-3 - Limestone, TN -- AKC NLCC --- Elsa goes BEST IN EVENT and earns the title of National Lure Coursing Champion (NFC) - Beyond Proud!! !